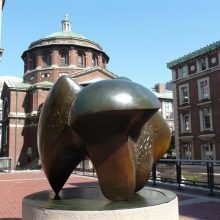 Three Way Piece: Points by Henry Moore is a large abstract bronze sculpture located on the south side of the plaza that stretches over Amsterdam Avenue between 116th and 118th Streets on the campus of Columbia University, New York City. The sculpture was in relatively good condition prior to treatment. 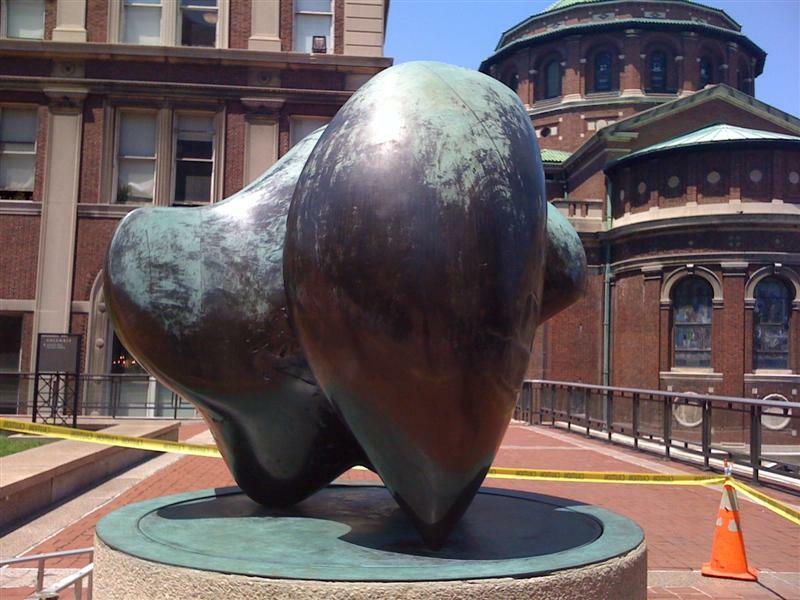 Although regular maintenance and renewal of the wax coating had not been performed in recent years, more than half of the bronze was still protected by wax. Where the bronze was exposed to the environment due to erosion of the wax coating, the surface was a pale green color with a lightly powdered texture indicative of active corrosion. In areas where viewers have handled the sculpture to turn it, both the wax and the patina were worn. 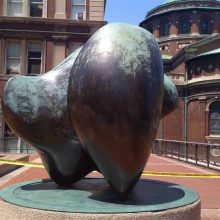 All other surfaces of the bronze still protected by wax were extremely soiled resulting in a dull dark brown appearance. 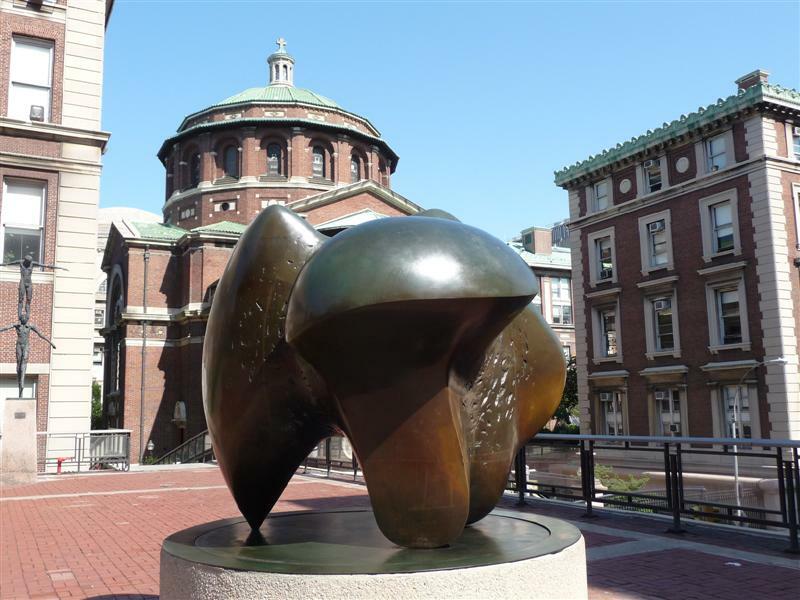 We were contracted to perform a conservation treatment of the sculpture. 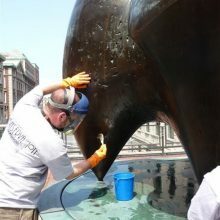 The goal of the treatment was to clean the sculpture to remove old protective wax coatings and loose corrosion products, and apply a new protective wax coating. Photographic and written documentation were performed prior to the treatment and continued through to completion. A written plan for continued maintenance was created to help reduce future deterioration and to increase the longevity of the conservation treatment, thereby reducing future costly conservation treatments.